Arsenal goalkeeper, Petr Cech, has said the club could be in contention for the Premier League title before the end of the season. Arsene Wenger’s side trails leaders Manchester City by 12 points going into Wednesday’s match with Huddersfield. 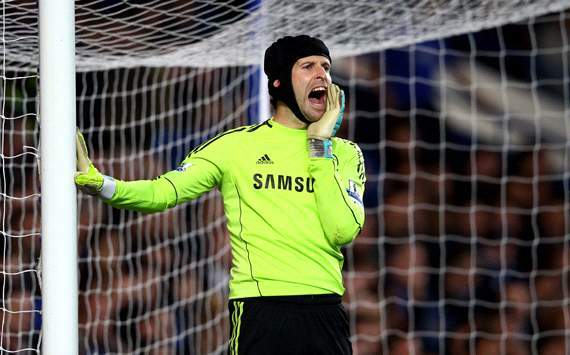 Cech who won the Premier league four times with Chelsea believes the race for the title is still wide open. He told reporters, “You have to play game by game, not think too much about what’s going on around you because if you win your game then you give yourself a chance. “Let’s win our game and see how the others are doing. If the other teams at this moment above us keep going, keep winning, then you can’t catch them. “First you need to win your games and keep putting pressure on them. “It’s only 13 games in. That’s the most important thing and there’s so many points to be won. You need to carry on for 38 games and show consistency. “There can be plenty of twists in the table and you see yourselves climb after two wins then have a draw and fall out of the top four pretty quick.